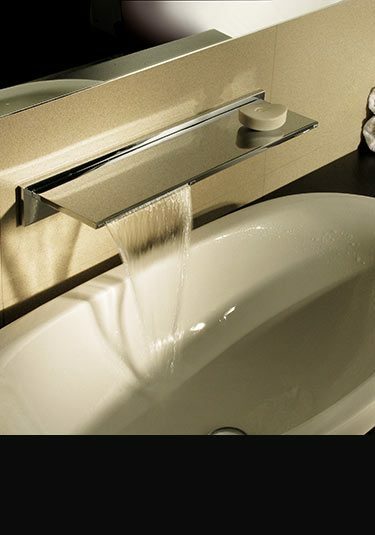 This waterfall bathroom taps collection is a unique design within the bathroom fittings industry. 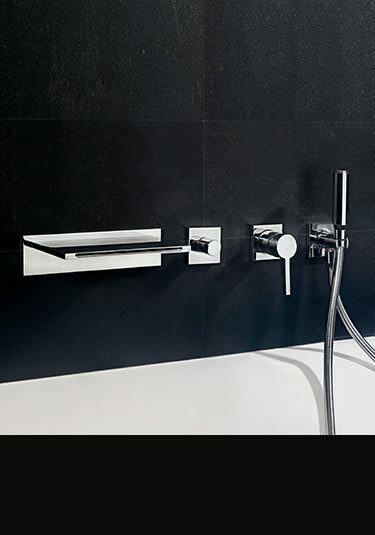 With its contemporary styling and high quality European manufacture, this range of taps and bath fillers will produce an exclusive bathroom styling. Our new open spout tap collection has proven very popular within the design community and makes a lovely style theme with these feature taps. These cascading taps are made in solid brass with a thick chrome plating and are far superior to the other waterfall bathroom taps collections available, and with its Italian styling, are also beautiful looking. 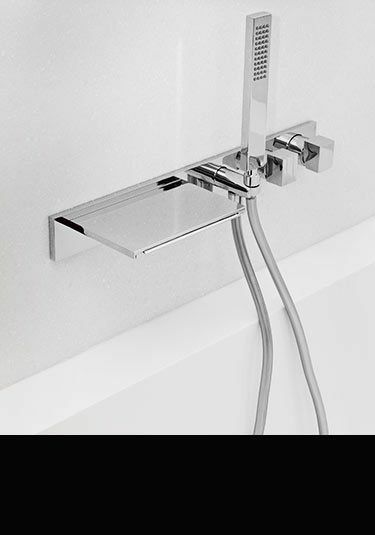 Our cascading open spout taps range can offer all the bathroom and shower fittings required to complete a full bathroom design. Within this Waterblade Tap Collection we can supply. * Wall and deck mounted waterfall basin taps. * Freestanding waterfall bath taps. * Open spout shower heads. A nicely compact but still very stylish, this wash basin tap makes a lovely design feature to any high quality bathroom. The water calmly cascades from the 100mm waterfall spout which is operated by the single lever mixer. 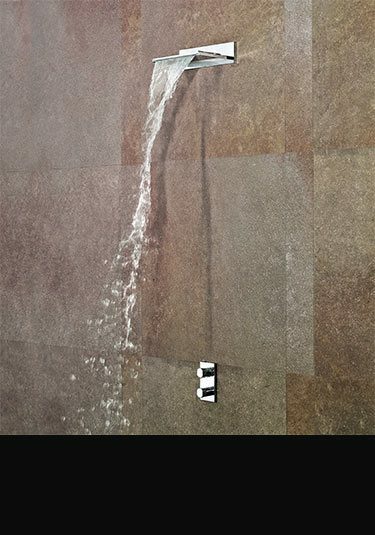 This Italian designed waterfall shower head is luxury quality. Manufactured in Europe in solid brass with a thick chrome plated finish this cascading shower is a stylish choice for exclusive bathrooms. A lovely fresh contemporary design this wall mounted handheld shower has the unique feature of the water spraying from the end. This wall mounted shower head is made of chrome on brass and is beautiful quality and styling. 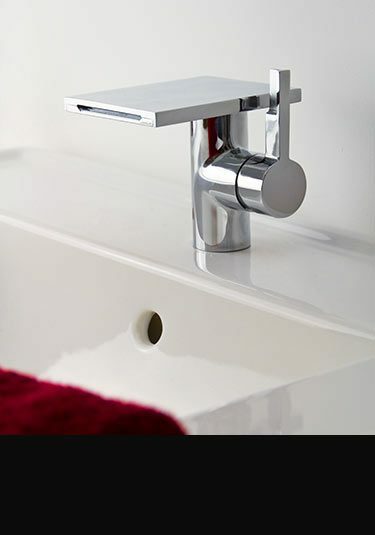 This slim and long waterfall bathroom tap is designed as a basin filler in luxury bathrooms. Each open cascading spout has the lovely design feature of doubling to be a shelf and is operated via a single or double mixer valve which is situated remotely. Italian designed and manufactured. 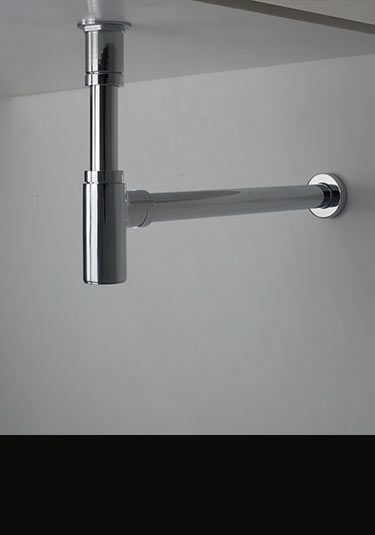 A wall mounted bath filler with a designer waterfall spout and a handheld shower attachment. This luxury quality cascading bath tap is operated using a single mixer tap which can be diverted between the spout and the shower head. Contemporary waterfall bath filler with shower attachment all fitted to a solid chrome on brass backplate. 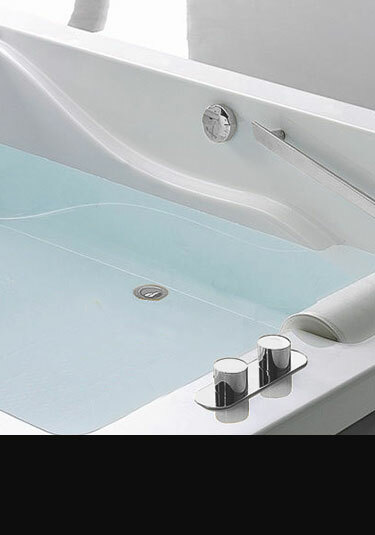 A luxury addition to designer bathrooms, this exclusive design is manufactured in Italy ensuring top quality. 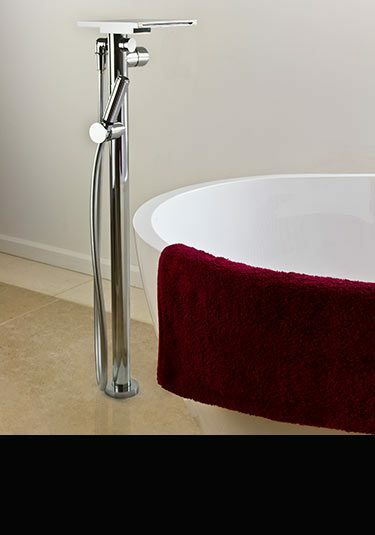 This large waterfall bath tap is a beautiful as well as luxury addition to any exclusive bathroom design. Impressive in statue, this cascading bath filler easily doubles as a bathroom shelf. Operated remotely via a choice of single or double mixer tap controls. Italian designed. 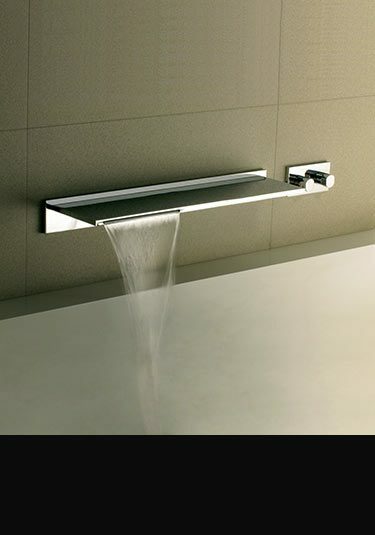 A luxury waterfall bathroom tap that is designed and made in Italy. 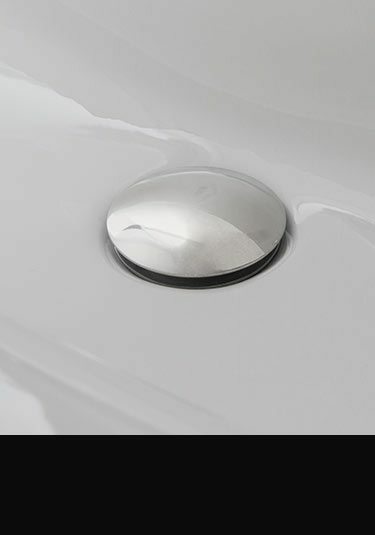 This luxury bath filler spout is operated remotely via a single or double mixer tap control. Each cascading bath tap makes a lovely design theme within any well thought out bathroom design. 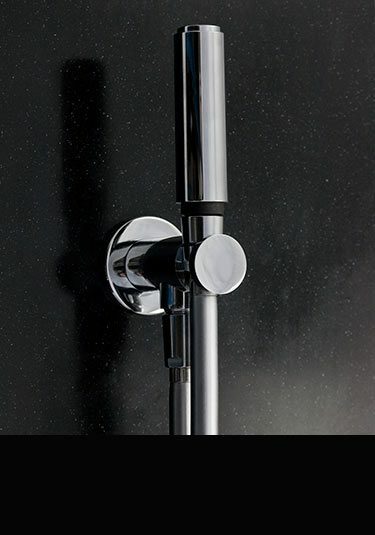 Lovely quality Italian waterfall bathroom tap designed for contemporary luxury bathroom. 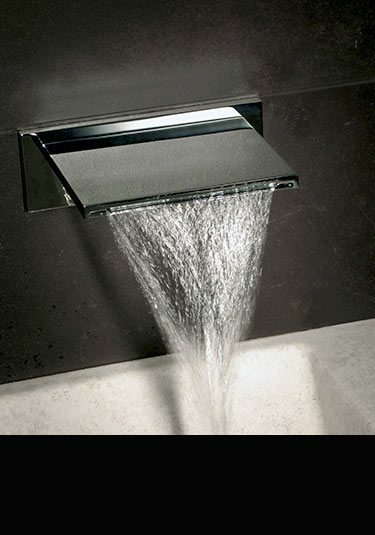 The designer waterfall spout is operated remotely using either a single of double mixer tap control. This stylish chrome bottle trap is designed to be a luxury finishing touch for wash basins. Great quality chrome on brass bottle trap. Stylish chrome pop-up bath waste with integrated overflow. UK suppliers of luxury waterfall basin taps, bath fillers and shower heads that are beautiful quality and Italian designed. 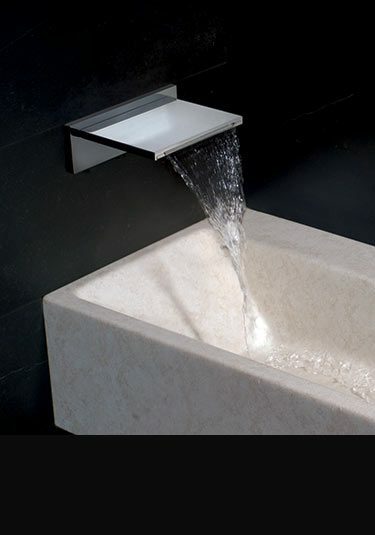 These cascading taps offer an impressive tranquil water flow from there open waterfall spouts.